As a long time Moodle user, I must first admit to my own prejudice. Over the past decade, I have been a student, a teacher, a trainer, and an administrator in Moodle. No learning management system is perfect, and each has a few strengths and weaknesses, but I am very fond of Moodle. This beautiful, open-source LMS has fostered a massive, global community of dedicated users and developers by promoting access and collaboration. My professional experience with Moodle began with teaching for Western Oregon University. During my third term, I was hired as the Instructional Design Coordinator. In this role, I supported over 8,000 active users and approximately 1,200 new courses annually as the administrator for the university's Moodle installation. 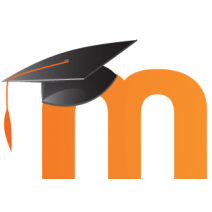 Since then, I have had the pleasure of supporting Moodle users on client sites for public colleges, non-profit organizations, and private companies.